Register for my workshop of how to paint your own heirloom pumpkins. 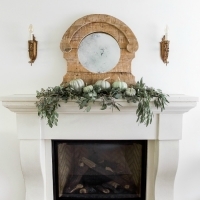 Each participant will also receive a signed French Vintage Decor book. I’m very excited to announce a workshop that I will be leading at Homeworks Etc. in Cloverdale, BC. 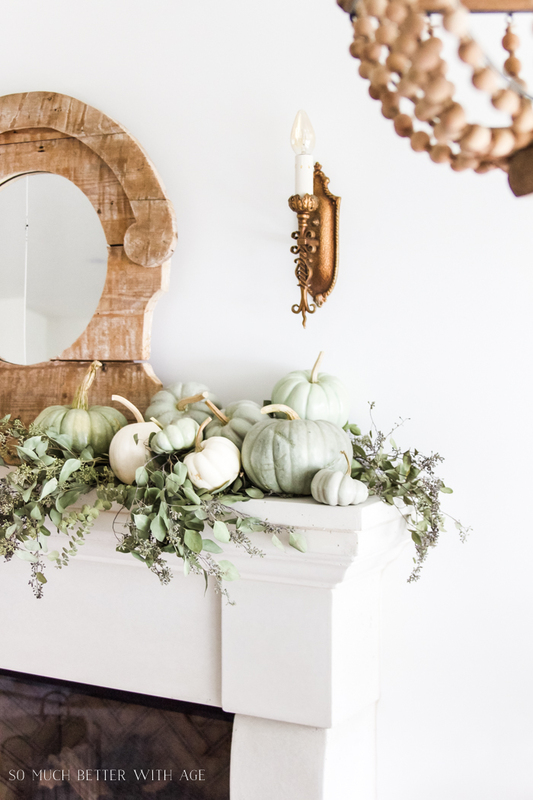 I’m going to be showing how you can paint your very own heirloom pumpkins just like in my popular DIY heirloom pumpkin tutorial. The workshop will take place on Saturday, October 13th from 1:30 – 3 pm. 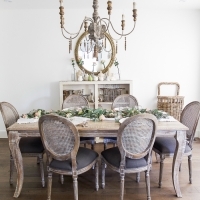 Each participant will also receive a signed copy of my book, French Vintage Decor. We will be painting 2 foam pumpkins to resemble the real beautiful green heirloom pumpkins and adding real pumpkin stems to each one. 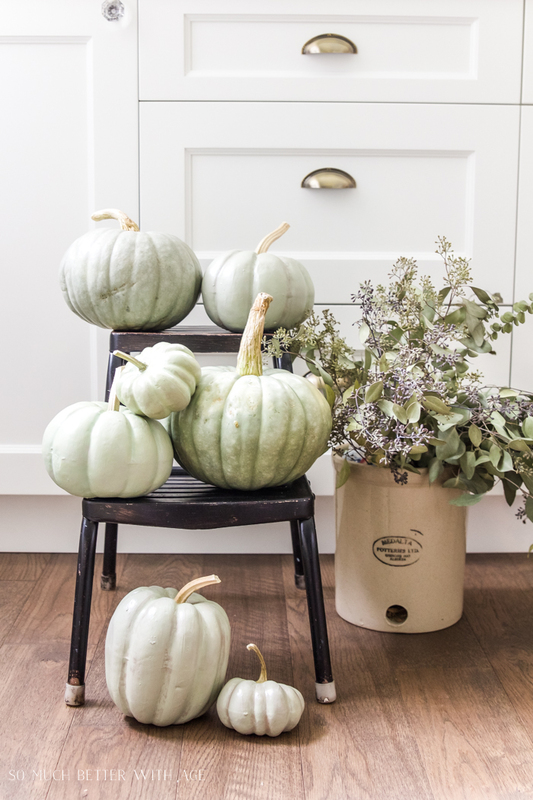 Why create your own heirloom pumpkins? 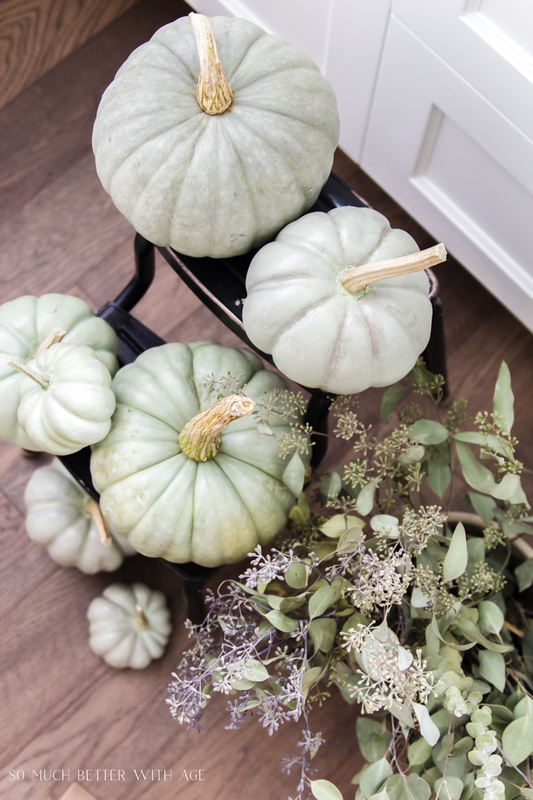 Heirloom pumpkins are pumpkins with those dreamy muted green and soft orange colours. They often come in odd shapes and are hard to find. When you do find them they are expensive and I hate throwing them out at the end of the season. 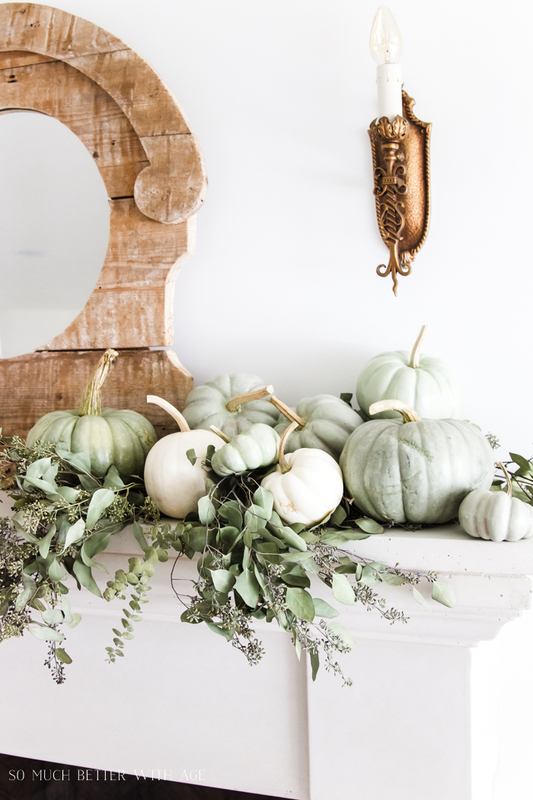 I love reusing seasonal decor each year (like we all do with Christmas decor) so it saves time and money in the long run to have your own supply of pumpkins on hand. 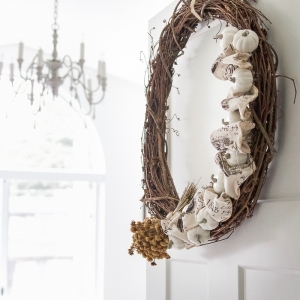 I love mixing them with a couple of real heirloom pumpkins to make a grand effect. There’s also nothing better than learning a new paint technique and spending an afternoon creating. Why not bring a friend? There’s so much fun involved with DIY! You might remember that I did my very first workshop (like ever!) recently at Homeworks Etc. and it was a great experience. I learned so much and I’m excited to lead another workshop! Homeworks Etc. 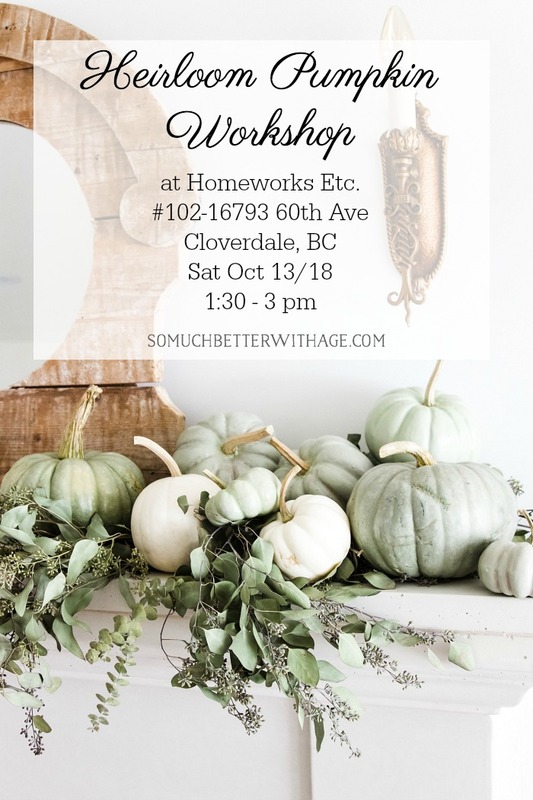 is the perfect place for this event as they have all the Fusion Mineral paint supplies needed to create these beauties and there will be an opportunity after to shop for any painting supplies you need so you can create more pumpkins at home. If I didn’t have a ferry to catch there and back or had other business in Vancouver, I would surely come and bring a friend. I love to create something and your pumpkins are so pretty. I hope you get a full house! Sorry, Jamie, but I live in Atlanta, Ga, USA. Would love to be there! Yes, that’s a bit far 😉 Thanks Sally! Is Ontario considered local? Haha! I would love to be there! Thankyou for all your inspiration though! Jamie, My decorating tastes are quite eclectic, not bohemian/cluttered, but eclectic for certain. 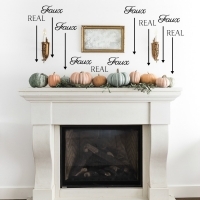 Seasonal decorating with non-traditional colors is my love. (not magenta, neon blue or hot orange!) 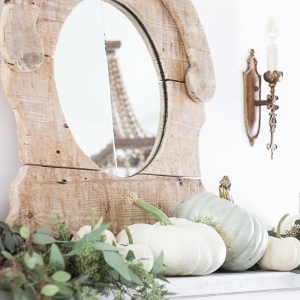 Your heirloom pumpkins are simply gorgeous! I live in the middle of the Midwest US so attending your workshop is not within the realm of consideration. I would call myself an intermediate+ crafter. Do you know of a source or link to a site where I could get a bit more instruction on painting an “heirloom pumpkin”? Many thanks for your consideration. Have a wonderful workshop!